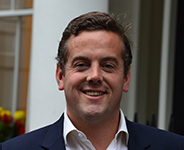 Nico founded Belstone in September 2011, combining his experience working in the property industry as a Chartered Surveyor for more than 15 years with that he gained working at a niche security firm. Nico also served an SSLC with the Royal Marines. On leaving university, Benjy spent 9 years in the British Army, serving as an Officer in the Queen’s Royal Lancers. His work took him around the world, conducting numerous combat and peacekeeping operational tours. On leaving the Army, Benjy spent three years working in the City and then four years working in the events business. 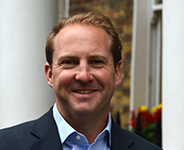 Benjy joined Belstone as a Partner in 2013 and now predominantly looks after the operations side of the business. Gokul served more than 17 years in the Queen’s Gurkha Engineers. On leaving the Army in 2007, Gokul went to work with a well known security company as a Supervisor, managing more than 250 Security officers. 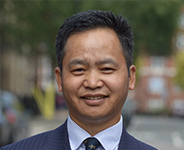 In 2011, he was appointed a Director of Gurkha Manpower Services. Gokul has been with Belstone since the firm’s inception and as Operations Manager, looks after the company’s day to day administration and logistics. A Senior Warrant Officer of the Queen’s Gurkha Engineers, Bhes served in the British Army for more than 22 years. He was responsible for the security of the barracks, overseas deployments and the Squadron’s operations. He was deployed on a number of operational tours, serving with great distinction in the Balkans, Iraq and Afghanistan. Bhes was also a senior security manager during the London 2012 Olympics, when the Army was called in to help with overseeing security for the Games. As an Operations Manager at Belstone, Bhes is responsible for human resources and the day to day running of the sites under management. Bal served for 22 years with the Queens Gurkha Engineers, achieving the rank of Staff Sergeant. During his time in the Army, he saw active service in a number of locations around the world, including Hong Kong, Belize, Norway and Iraq. Bal then took up the position of Assistant Area Welfare Officer for the Dhaulagiri Region on behalf of the Gurkha Welfare Scheme, the ‘on the ground’ division of the Gurkha Welfare Trust. 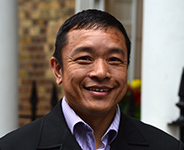 He worked there for three years, ensuring the welfare and support for ex-Gurkhas and managing logistics throughout the region for the charity. 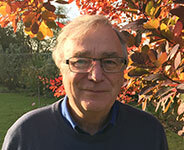 David has worked in various industries in a career spanning more than 45 years. A Certified Practising Accountant (ICPA) he has been associated with the company since its formation and is responsible directly to the Managing Director for all financial matters. 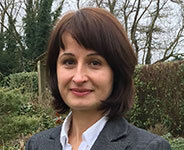 Viki was born and educated in Hungary and qualified as a banking advisor before coming to England in 2000. She has recently qualified as Member of the Association of Accounting Technicians (MAAT).